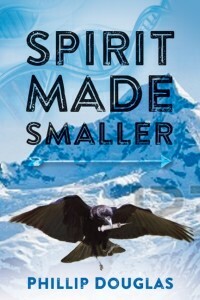 The following is a guest post by Douglas Phillip, author of Spirit Made Smaller. If you would like to write a guest post on my blog, please send me an e-mail at contact@cecilesune.com. Last year in my guest entry I briefly overviewed my four cardinal biases, and how I had to acknowledge and control for them whenever I searched for and discovered background materials for my upcoming novels. No, I’ll not blog about dreams or other subconscious states that are constituted within our Homo sapiens’ minds, and no, I’ll not summarize the five fundamental tenets of modern physics nor speculate whether they may retain their validity when extended onto the Dark Matter/Energy “ethers or the equivalent quantum fields” that so dominate our universe. Instead, I’ll blog a bit about Rembrandt Harmensz van Rijn, the seventeenth-century Dutch master. First, let me say that alternate consciousness states, the validity of our theoretical physics within Dark Matter/Energy space-time, and the artist Rembrandt are prominent cornerstones in the story, We Killed the Neanderthals? But since this blog is narrowed down to some of my researched views regarding Rembrandt, let me start off with a little on his general background. Masterpieces such as The Night Watch, 1642, The Syndics of the Amsterdam Drapers’ Guild, 1662, and The Conspiracy of the Batavians, 1662, no doubt, positioned Rembrandt among the greatest of painting artists. Even more so, Rembrandt stood peerless in regards to his etchings: he transformed the technique of copper engravings linked to the printing market into a fully-fledged, artistic medium. The seventeenth-century diarist, John Evelyn, wrote of ‘the incomparable Reinbrand, whose Etchings and gravings are of a particular spirit’. Obviously, the storyline that covers the Rembrandt portion of, We Killed the Neanderthals?, could turn on any one of the artist’s dramas and traumas already summarized – how did Rembrandt’s dreams construct sensible workarounds for all those life-changing upheavals, and on a more basic level, why did he relentlessly name all his daughters Cornelia? Questions lead to more questions, and there remain several gaps within Rembrandt’s biography and corresponding psycho-social motivations. Such interesting clefts appear ready-made to be filled. Researching the parameters that surround those holes becomes an exciting part in writing a novel! The chemical technique of etching was developed by Arabic armorers in the Middle Ages as a means to decorate weapons. By the early seventeenth century, the technique was expanded to produce prints of portraits, scenes and landscapes after they had been engraved on a medium such as a thin copper plate. Initially, the plate was covered by an acid-resistant mixture known as the etching ground, composed of asphalt, resin, and wax. The design was then drawn into this thin layer with an etching needle to expose the underlying copper. The plate was laid in a bath of dilute acid, and the exposed copper parts in the etching field were then “etched away” to produce the grooves in the metal’s surface. The longer the plate remained in the acid bath, the deeper became the grooves, and that could lead to darker results. Once removed from the bath, the remaining etching ground was cleaned from the plate. Ink was applied to the whole plate and wiped off by hand to leave behind only the ink in the grooves. A damp sheet of paper was then laid on the plate, and both plate and paper were passed through the rollers of a press to produce up to 150 printed copies to market. What made Rembrandt’s etching technique noteworthy was his perpetual experimentations with the composition of the etching ground, the numerous dilutions of hydrochloric acid he had employed, the different types of paper and vellum he had pressed onto the copper plates, and his willingness to draw directly on a plate with a needle or burin to make corrections and additions. My intent is to have finished, We Killed the Neanderthals?, and the manuscript with a publisher by this time next year for those interested about the connections I’ve discovered between Rembrandt, science fiction, the physics of Dark Energy/Matter, and their interplays within alternate states of consciousness. I’m proud to announce that Spirit Made Smaller is the Award Winner in the “Fiction: Religious” category and also a Finalist in the “Fiction: Cross Genre” category in the 2015 International Book Awards! These results were officially announced on May 21, 2015. 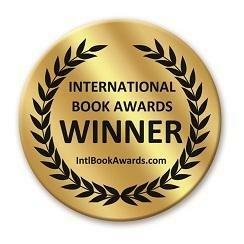 Out of over 1,200 entries, my book was the only published manuscript to be simultaneously honored in two categories. About the author and his work: Douglas Phillip’s Website. Phillip Douglas, born in Montana of Scottish, Native American and German descent, served 28 years in the United States Army Medical Corps in several command and consultative positions across the globe. 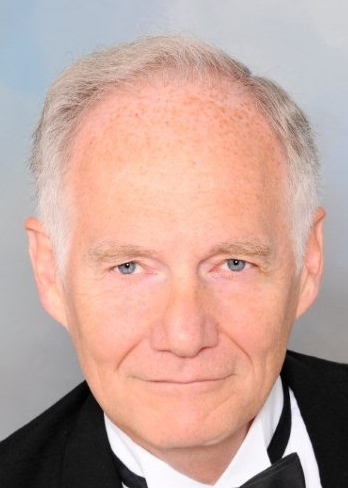 This longtime Seattle resident balances decades in medicine with his artistic side: in addition to being an author and playwright, he is also a baritone soloist performing in both West Coast and European opera, oratorio and musical theater. Spirit Made Smaller is Phillip’s first novel, which took seven years to meticulously research and write. Although the narrative is fictional, the settings are very real and can be viewed in the photo gallery on the book’s website, http://spiritmadesmaller.com When not at work on his second book, a mystery/thriller set in Europe, Phillip immerses himself in foreign travel, organic gardening, and studying the philosophy of science and religion.